Just when we thought that no more new words could enter the English language, the phenomenon of ‘verbing’ came along. I will not go into detail about what ‘verbing’ actually is, since I’ve already written an article about this topic (Verbing), however, all I’m going to say is that this trend was yet another proof that English is in a constant state of flux. ‘Planking’ is yet another reminder of this! Up to a few days ago (actually if I have to be completely honest I have to say “up until yesterday”) this continuous verb meant absolutely nothing to me. I was only aware of ‘a plank of wood’ (meaning “a long, thin, flat piece of timber, used especially in building and flooring”); the verb ‘to plank’ (meaning “to cover with planks”); and obviously, since I’ve always been a fan of Peter Pan I was luckily also aware of the phrase that is synonymous with this cartoon, namely, ‘walk the plank’. So while I was lying on the beach enjoying the scorching Mediterranean sun and a good friend of mine started talking about ‘planking’, I thought that either one of us (I felt more comfortable thinking that it wasn’t me) had been in the sun for way too long!! Then, however, my other friend joined in the conversation, and she too sounded as if she knew perfectly well what she was talking about…so clearly, I was the one in the dark. This is exactly what I did, but in my case I got even more confused than I originally was. I just couldn’t understand the concept of people lying flat on the ground in all sorts of weird (and dangerous) places and taking pictures. I just couldn’t see the fun in it. So I went home and looked this phenomenon up on the oh-so-mighty internet…and that is when I got all the answers I needed…with lots and lots of pictures to prove that both my friends were 100% correct earlier on when we were on the beach. For those of you who are still trying to catch up with the evolution of language (and if you ask me, the devolution of man), “the rules of ‘planking’ are simple: Lie face down with an expressionless face in a funny or daring location. Keep your legs straight, toes pointed and arms by your side. Take a photo and post it on Facebook” (Taken from an article on The Times of Malta of the 23rd, June 2011). So now you’re up to date! One might ask, “But do people really do this kind of stuff?!”. The answer is “yes they do”. What I find really interesting from a linguistic point of view is that in informal British English the noun “plank” is sometimes used to refer to “a dim-witted (or just plain stupid) person”. And here’s the correlation…when somebody risks his life (there was one case in Australia of a man who decided to plank on a really high balcony, fell down and died!!!) 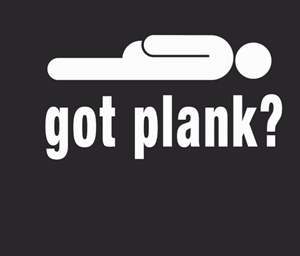 all for the sake of ‘planking’, I wouldn’t know how else to refer to that person! However, if you really want to have a laugh, you too can go on Facebook and look for these pictures of all the ‘plankers’ from all over the world…unless you’ve already uploaded some yourselves!! !